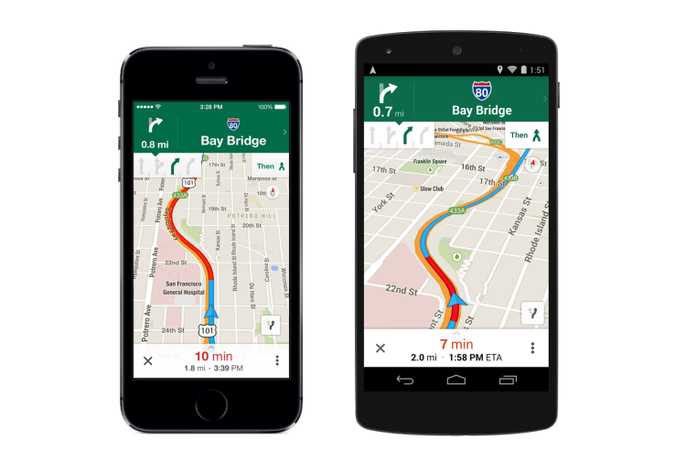 The Google Maps for Android and iOS applications have been updated with tons of new features, with one of the most important being direct Uber integration. Uber, a service that connects users with drivers, now shows up as a transportation option in the mobile versions of Google Maps. As long as you also have Uber installed on your device, the option will show up in Google Maps. While there is only so much that you can do with Uber while still inside of Google’s app, you can find out how long a trip would take when using the ride-sharing service. If you end up choosing Uber rather than the other included transportation options, you can open the app with one click from within Google Maps for Android. Including some Uber features in Google Maps says a lot, but the other features recently added to the application are worth noting as well. 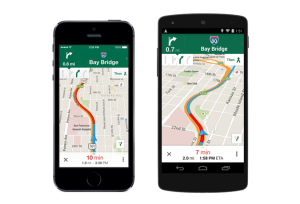 Lane guidance, offline maps, and extra transit information are all now included. Lane guidance is one of the more important features, as Google Maps will now guide users consistently to prevent wrong turns and other mistakes. Offline maps will also add functionality to the iOS and Android apps since users can save maps with custom names just in case they are worried about signal issues. All in all, this is perhaps one of the largest overall Google Maps updates. Additional transit information will surely come in handy as well, since finding businesses based upon hours of operation, price, rating, and other factors is now possible. This should definitely help people who are looking for a good new restaurant nearby–or other similar business–but are not sure where they should go. The Uber integration is undoubtedly one of the coolest additions if you are already an Uber fan, and although that service has faced some issues in the recent past, it is set to become a true alternative way to travel. Summary: Google has released an update for Google Apps for Android and iOS. One of the most interesting new features is Uber integration, which means that Uber shows up as a transportation option.